Atop the bridge "Puente Rio Dulce" we took these pictures of the river and the marina. I don't have that many stories of this area. I have driven across the bridge about 6 times in my life going and coming to Peten and have only stayed in the Rio Dulce area twice. Rio Dulce is in the department of Izabal. Puerto Barrios and Livingston are the other two mains destinations, likewise I have been to them two or three times. The last trip to Rio Dulce was sometime in the nineties. I have never been a water person, my element is earth, so I cannot tell exactly what was the 'wind vessel' my friend had and made me get on, all I know is that I was all cool sitting when all of a sudden the wind came. I think I was supposed to pull something or other but I was so frightened I became paralyzed with a scared face my friend has never let me live down! There is no doubt that there is nothing more sad than Christmas in prison. These holidays who serve to bond families, to celebrate around a manger, to reminisce the better times of our lives or hold each other in mourn of unconquered sufferings, take another dimension when in prison, denied from the most important asset after life: freedom. The drama of prison affects equally he who is incarcerated, his family and those who battle for his freedom. It can only be understood by those who have walked or are walking that dim labyrinth. Days pass by slowly in prison. For the inmate hope dilutes amongst dreams of liberty and the reality of a process with no end whose sole law is that one of deferral, leaving with no sense codes, verbatim, doctrines that serve only to illustrate long speeches by lawyers whose language has nothing to do with reality. In prison the fight is survival with some dignity, sending optimism to loved ones, who are battered by skepticism and impotency. The prison environment is hard and hostile; distrust reigns; bonds of friendship that can trespass the bars and walls of the inhospitable prisons; violence strides threateningly though dark intricacies. Uncertainty the most serious of feelings. That is why, spiritual help fills the emptiness of prison to make it bearable the way of imprisonment. When there is no sentence, one waits in vain the realization of the audiences that never happen on the expected dates. When the time is given the 'benefits' become the fuel of the fight; and when there is no hope whatsoever of liberty because of how strong the crime of the wicked impositions of justice, the only thing left is to make an interior world that is lived by the strength of faith and the entirety of a family that helps to carry the burden. In this Christmas day we shall think of our prisoners: those who strayed away from the right path and can have the chance to amend; those who never had another choice and where pushed to crime; those who were weak and succumbed to bad influences because of an environment prone to all sorts of social deviations; and to those; who simply are there because they suffer unjust persecution from those in power who exercise control in their own benefit, with the deprivation of freedom of its political adversaries. Let´s remember then our prisoners, raise a prayer for them, let´s vow for the cease of this penitentiary embarrassment, unmitigated condemnation for any government who treats cruelly and inhumanely a portion of the citizens that live in the marginality of the penitentiary sub-world. On the right the town hall, a bank next to it, in front the police station ans the green building on the left a public school. Guatemala city is full of neighborhood churches some with more history than other ones, but each one with a story. A 40 day memorial mass took me yesterday to this one. My aunt who has lived around here for 60 years says the church was already here then. The facade, cupola and interior are fairly new, 15 years. Before it was a humble gable roof structure. You know how it goes that I blog about stuff... I know somebody that... or I´ve been to... This post is no exception. My cousin Flavio married Linda this young lady with and extraordinary spirit (here a post about their wedding). Linda works for FotoKids and was a Foto kid herself. "Fotokids was founded in Guatemala in 1991 by ex-Reuters photojournalist, Nancy McGirr, and was originally calledOut of the Dump. The project began with a group of six children aged 5 - 12, who lived and worked in Guatemala City's vast garbage dump. The purpose of Fotokids is to help small groups of Central American young people from the poorest of barrios develop useful, employable skills as a means to self-exploration, expression, and discovery. Through intensive, long-term personal relationships with teachers and mentors, participating children learn to use photography, creative writing, and computers as tools to examine their lives, families, communities and environment. Over the years, the project grew to include children from other economically poor areas of the capital. Since 1996, Fotokids has expanded to include communities outside Guatemala City. Currently Fotokids involves over 80 young people, ages 7 to 21, in six distinct communities." I recently went to the inauguration of the expo "Family Landscapes" . All the photographers/kids were there. It is uplifting to see them proud about their work, enthusiastic about themselves and with a spark in their eyes. All pictures, I think, are thought provoking and they arouse mixed emotions. On one hand one can focus on the composition, the angle, the light, the movement but on the other it reveals a cruel reality. One of my favorites was a picture of various elements a guitar leaning on a wall on top of a sewing machine around the neck of the guitar a measuring tape an hanging form a peg a faded red plastic hanger. Next to it a picture of someone. Another one that called my attention was a girl crying over a dead body behind a yellow plastic line. On the latter one I was told by the photographer that it was a made up composition but she was bummed that she could´t find the real yellow and black police plastic line. I was relieved but then disturbed because even it was made up the situation sounded to familiar to her. There was another one of a boy laying on the street with just shorts on and a big old smile playing with all the chocolate rain water coming down the street to the sewage. Pictures of quinceañeras all dressed up posing on poverty backdrops. Another one I liked was a woman standing at the doorway, no door just a fuscia curtain. The hut very colorful. She in humble clothes with a Glamour magazine in her hands. I think their work has an impact in their lives, it helps them focus in so many ways, picture their life in the full meaning of the word picture, giving them a sense of being able to change their life. To the one admiring the pictures it does the same in a different prospective! If you are interested in donating an old camera write me and I will send you a US address to send it to. PS. Just in case Flavio reads the article: You also have an extraordinary spirit! First let me say this picture does zero justice to how exquisite this plate is. Pier at Restaurante Safari, Puerto Barrios. You can see on the horizon a vessel coming into the Port. Here is a recipe I found for this very traditional Guatemalan Garifuna dish. I would change banana for plantain and also add crab. I am here with Miguel Ángel Álvarez Arévalo, official Chronicler of the City of Guatemala. That means he is the one in charge of keeping all relevant account which will then be the history of Guatemala. Miguel Angel Alvarez Alvarado is an erudite historian. I have had the opportunity of interacting with him at social gatherings. He is humble, yet the knowledge he has transpires immediately. He is a keen listener and observer, always willing to expand in any history subject he is questioned about. I took this picture on during Easter Week 2009. I was waiting for my "turn" to bear the float (that is why I am with my mantilla over my head). Mr. Álvarez was another spectator of the Candelaria procession. I had so many posts for Easter that I left this one out but today that I went to the Railroad Museum I was reminded of it when I saw the name of the main exhibit hall was "Miguel Ángel Álvarez Arévalo". After finding the Technological Man, I decided I needed to pay more attention to the art that surrounds us in everyday places. During the 70's and 80's, with the war going on, people were taken out of Guatemala valuable art pieces, mayan pieces, etc. It was not usual to see art in lobbies, plazas, museums, etc. Now art appreciation and budgets are back but we have lost the habit of stopping, perhaps we think it is a print, a replica or a museum shop decoration piece. Two weekends ago I went to the Hospital Las Americas to welcome coworker's precious new born baby boy and saw this painting behind glass on the lobby. I only had my phone with me, so I will have to go back to take better pictures. The panels are are called FIVE VIRTUES - Education, Consolation, Creation, Assistance, Generosity -Technique: embossed plaster, water color, polyester resin. "Nan Cuz was born in Senahú, Alta Verapaz, Guatemala. Her work incorporates her native´s land color and backdrops as well as her autochthonous past, making her paintings lively poems of color inhabited by a palpitating soul. The remarkable self taught Guatemalan artist has represented her country in innumerable art showings and galleries around the world. In the case of this particular piece, the panels have always formed a single unit. Between 1968 and 1976 the panels were shown at the Dominican Convent in Hamburg, Germany. Today the "Five Virtues" panels are shown at Hospital Las Americas lobby as a live memorial of the artist's talent and sentiment as well as a constant reminder of the humanity that weakens what we are." Writing the post I learned Nan Cuz is the artist name of Imgard Carmen Heinemann (German Mayan descent), the first wife of Georg Johannes Schäfer, a german painter. Schäfer who had traumas of German concentration camps, through experimenting with LSD and Mescaline came with the cosmic vision that he and Nan Cuz left in the "In the Kingdom of Mescal" an adult illustrated fairy tale. She was born in 1927 as Irmgard Cuz Heinemann in Guatemala. Her mother was Maya Kekchi, her father German. Her early childhood she spent in a simple hut on a finca near Senahú, Alta Verapaz. She was called Nan. For education her father took her to Germany. After the War, longing for her home country and helped by her early memories, she started to paint scenes of indigenous life and mythology. 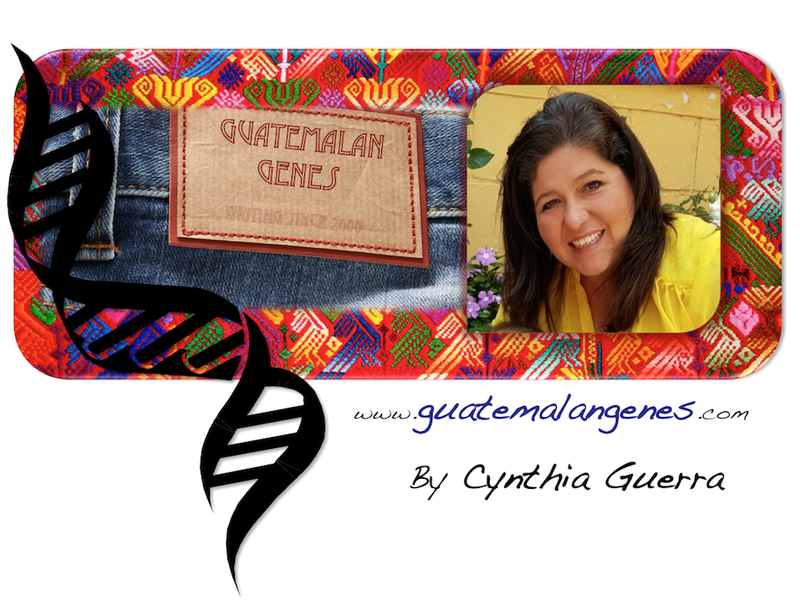 In 1971 having achieved international recognition she went back to Guatemala with her. Her paintings are on permanent exhibit in the Galería, Panajachel.